Why Doesn’t The US Geological Survey Know The Fundamentals Of Geology? Why doesn’t climate science peer review involve any actual review? 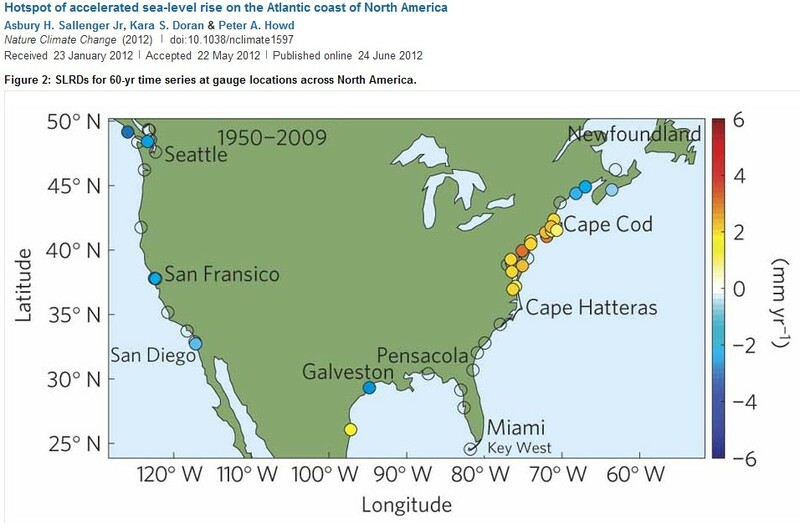 Nature recently published this ingenious paper claiming a “sea level rise hotspot” between Cape Hatteras and Cape Cod. Satellite measurements don’t show this “hot spot” – only tide gauges, indicating that the land is sinking rather than the ocean rising. The geology of the region is well understood – glacial rebound from the last ice age is causing the “hot spot” to sink at the same rate as the rise measured by tide gauges. Besides the fact that they missed the fundamental geological point, their claim of “accelerated sea level rise” is also bogus. The tide gauges show no acceleration, just a steady subsidence of the land over the last 160 years. 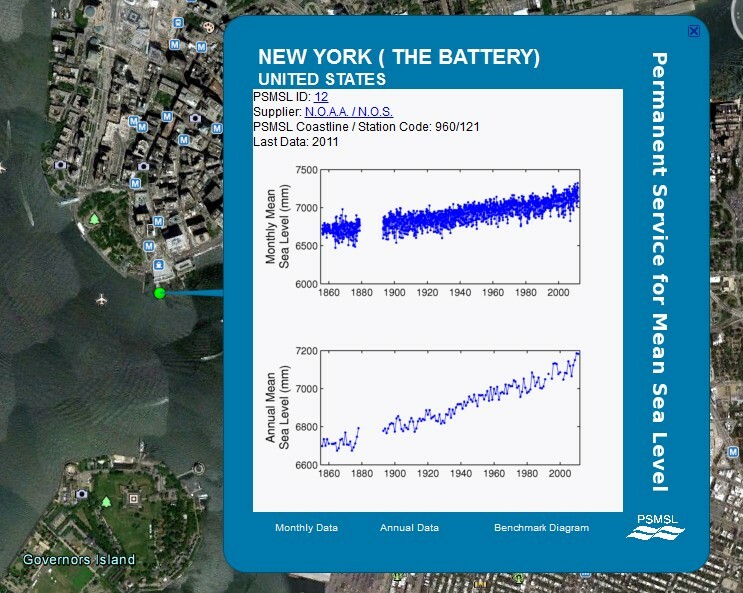 The fastest sea level rise actually occurred during the 1930s. It took me about 15 seconds of reading the study to recognize the horrific error they had made – yet the paper managed to get through peer review at the “prestigious” Nature Magazine. 15 Responses to Why Doesn’t The US Geological Survey Know The Fundamentals Of Geology? They thought it needed ‘pier’ review instead, and found the gauges intact. Hold on there. Just like with the satellite readings, the tide gauge reading needs to be corrected for ocean floor subsidence. Since the ocean is subsiding, and with the assumption of all things being equal (i.e. the beach is not subsiding), then we need to apply the Colorado Correction and ADD the absolute value of the subsidence to the tide gauge reading. Off topic, but FYI to Steve – NYT saying farmers worried about the next Dust Bowl this year. That is because they don’t know anything about the Dust Bowl. Corn crop is in worst condtion since 1988 as of June 30th. All the heat and lack of rain should cause further deterioration this week. So finally, after 24 years, we may have a significantly subnormal corn crop. But drought and bad corn crops have been around forever. Bad to catastrophic crops in 1930, 1933, 1934, 1936, 1947. More recently in 1974, 1983 and 1988. Perhaps the worst corn crop of all was in 1894. So we have been incredibly fortunate to have such a long run of good crops. It had to end sometime. So is not such a good year for apples, peaches and corn. Any more? I wonder how wheat and rice is doing. Yet, heard on the news this morning coming to work that the corn crop in Alberta will be out earlier this year, due to ….lots of moisture and good proper heat at the right time….so, while one area has hot and no moisture, another area has good conditions…however, we lack the production volumes the USA provide…. In Southern Ontario the measure of normal corn growth is “knee high by first of July”. On a crop tour yesterday I observed many fields of corn more like head high. Beans look sensational also but Let am sure the farmers will find something to worry about. ” ….it seems that, if the intensity of the jet Stream is greater in the Northern hemisphere than that of the Southern, it should follow that there ought to be a greater transfer of angular momentum in the Northern Hemisphere than the Southern. 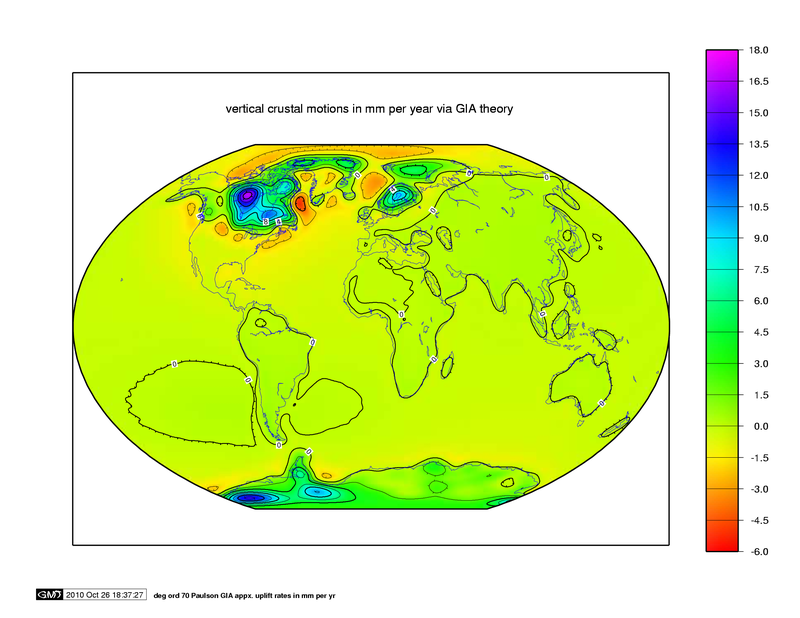 Assuming the above to be the case, it should follow that the rotation of the Northern Hemisphere would tend to slow down to a greater degree than that of the Southern, with a consequent resultant stress (torsion,) which must ultimately find release, after elastic limit is reached, by dislocating the Earth’s crust. This ‘brake’ being applied, unevenly, to one Hemisphere, would tend to instigate the ‘Chandler Wobble’ as well as other local irregularities of rotation, plus the enigmatic ‘pear shape’ of the Earth. Hold on, my understanding of glacial rebound is that the land surface rises after the mass of ice has gone. So wouldn’t that mean the sea level would appear to drop, not rise? Have I got this wrong? Look at the map, it will become clear. You see a ton of sensationalist stories about heat damaging the corn crop, but when, as is more common, frost or freezing ruins crops, their is never a mention of it, unless it’s to say the freeze was caused by global warming. It’s insidious the way the leftists have taken over the media; this is one area where conservatives need to make gains, in media ownership, in order to try to level the playing field. It’s becoming apparent that science is going the same way as banking i.e. a bunch of self serving crooks!